Retired LEO. Last 25 yrs in homicide invest. 08:08 PM - 'cause mentioned 03reptile in post Re: Remembering Seldoon! 04:08 PM - blackcad55 mentioned 03reptile in post Re: Decided to order a GT350! 12:57 PM - 'cause mentioned 03reptile in post Re: SHEBYFEST 2019 would ya wanna help? 04:09 PM - 'cause mentioned 03reptile in post Re: SHELBYFEST 2019...Yep, it's coming! 07:21 AM - 'cause mentioned 03reptile in post Re: Decided to order a GT350! 08:43 AM - 'cause mentioned 03reptile in post Re: Is the MGW Gen II shifter worth it? 10:08 AM - 'cause mentioned 03reptile in post Re: Decided to order a GT350! 04:35 AM - dcastine mentioned 03reptile in post Re: 1st drive, loved it but it hates to take fuel - WTH??? 06:09 PM - Shelbyfan73 mentioned 03reptile in post Re: Shelbyfest Fun Run to Hermann!!! 07:13 AM - fletchffletch quoted 03reptile in post Re: 2020 GT500 leaked? 07:48 PM - 'cause quoted 03reptile in post Re: Decided to order a GT350! 05:37 PM - blackcad55 quoted 03reptile in post Re: Decided to order a GT350! 05:12 PM - KodiakMustang quoted 03reptile in post Re: Decided to order a GT350! 04:47 PM - OMB quoted 03reptile in post Re: Decided to order a GT350! 03:55 PM - blackcad55 quoted 03reptile in post Re: Decided to order a GT350! 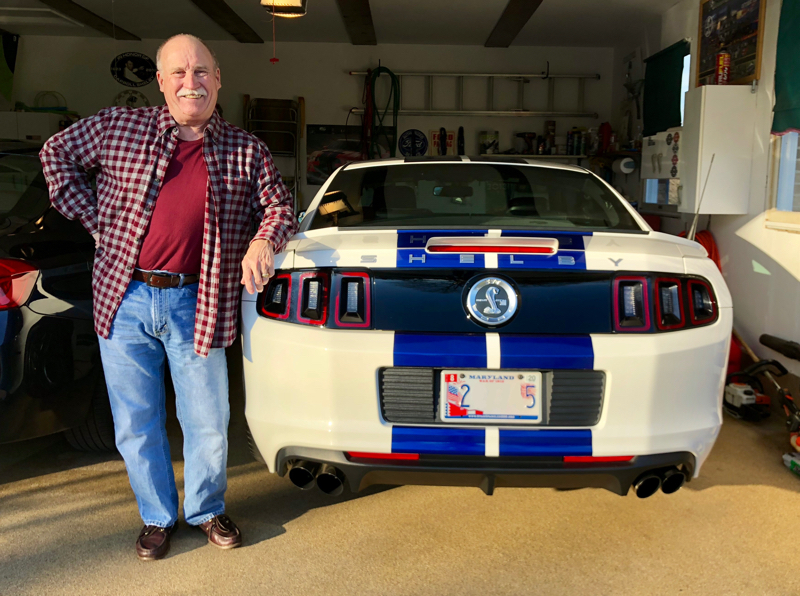 08:01 AM - shelbygt500_753hp quoted 03reptile in post Re: SHELBYFEST 2019...Yep, it's coming! 04:21 PM - OMB quoted 03reptile in post Re: Tax deadline today! 02:08 PM - Goose17 quoted 03reptile in post Re: 2020 GT500 leaked? 01:48 PM - OMB quoted 03reptile in post Re: 2020 GT500 leaked? 01:05 PM - Snoopy49 quoted 03reptile in post Re: Decided to order a GT350! 11:05 AM - OMB quoted 03reptile in post Re: Decided to order a GT350! 03:24 PM - Mctag quoted 03reptile in post SHELBYFEST 2019...Yep, it's coming! 03:06 PM - blackcad55 quoted 03reptile in post Re: SHELBYFEST 2019...Yep, it's coming! 08:11 AM - OMB quoted 03reptile in post Re: SHELBYFEST 2019...Yep, it's coming! 07:41 AM - 'cause quoted 03reptile in post Re: SHELBYFEST 2019...Yep, it's coming! 06:59 AM - KodiakMustang quoted 03reptile in post Re: What'd you do today? 09:32 PM - Ford Fest quoted 03reptile in post Re: What'd you do today?